Here is a picture of the Vimanmek Mansion in Bangkok. This is a famous Bangkok sightseeing attraction, it’s also known as the largest golden teakwood mansion in the world. 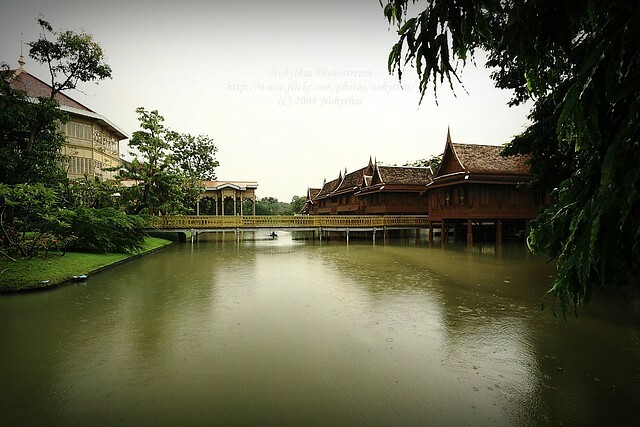 It was build in the reign of King Rama V, in 1900. It was then used for several years as the King’s palace. King Rama V was a very beloved king by his people. He sometimes used to change his royal clothes for the normal clothes of everyday people and travel the country incognito to see what their living was like. He also loved to cook and sometimes invited friends he made on his incognito journeys into the palace – of course, they were quite surprised to see that their old friend was in fact their King. The building is still beautiful to visit. It wasn’t really used for something until it was renovated a couple of years ago and turned into a museum.